Today I will continue our string of birthday party posts with two more. 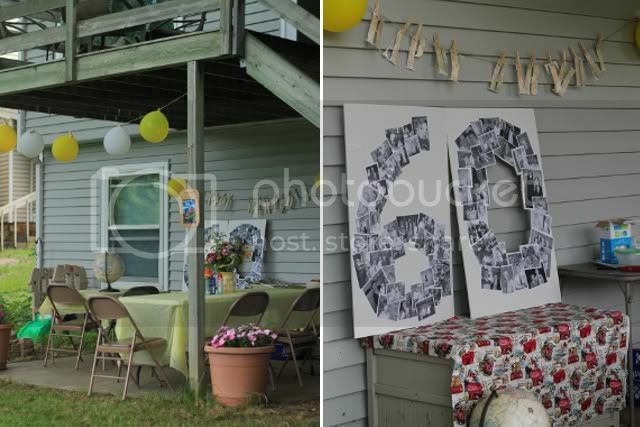 The first is the semi-surprise 60th birthday party we threw for Mike's Mom over the July 4th holiday weekend. 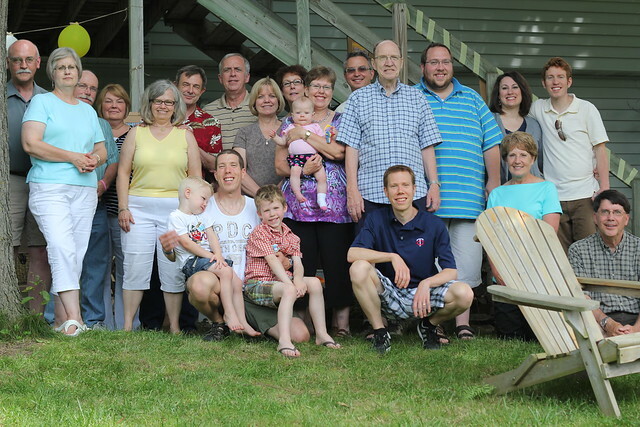 She knew she was coming down to Rochester to celebrate with some of her kids/grandkids, but did not know that we had secretly invited a bunch of her friends as well. We weren't able to completely surprise her, but she was pleased with the party nonetheless. Katie and I gathered ideas for weeks to create the vintage travel themed party. 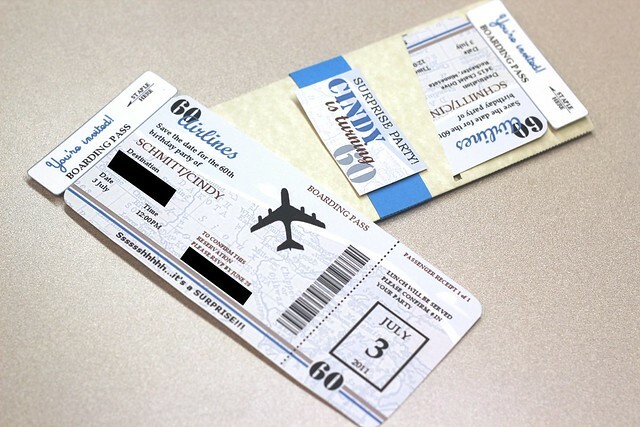 I designed the invitations to look like airline boarding passes and Katie worked hard at printing vintage travel posters for diy decorations. 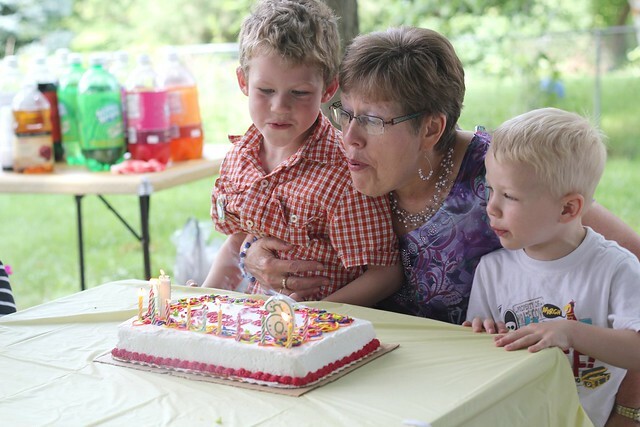 Benjamin and John had fun helping Cindy blow out her candles. Even though she wasn't completely surprised, I think the party was a hit and everyone had a great time!